Prices start at $400-00 for 2 persons with a maximum of 200 Kgs combined weight for 30 mins in the aircraft (20mins airborne). Typical route will be Aldinga to the coast then south towards Myponga, overflying Sellicks Beach, then northbound up the coast past Aldinga Beach, Port Willunga to Maslins Beach , then inland to McLaren Vale, Willunga and back to the airfield. We are however, flexible enough to be able to accommodate personal preferences. If there is something you particularly wish to fly over, just ask your pilot. Longer flights are available on a pro rata cost, for example 25 minutes airborne $500, 30 minutes airborne $600, just ask for a quote. 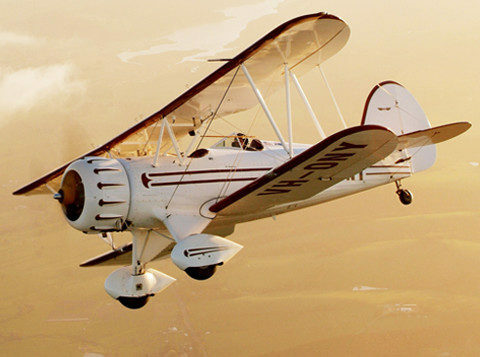 A flight in the timeless Tiger Moth is $295-00 for 20 minutes airbourne in the aircraft. It has a weight limit of 100 Kgs and you will spend about 30 minutes total in the aircraft (getting in to the Tiger Moth and safety breifing, Engine start, Taxii, Takeoff, Landing and taxii back to the hangar). The route will be Aldinga to the coast then south towards Myponga, overflying Sellicks Beach, then northbound up the coast past Aldinga Beach, Port Willunga to Maslins Beach , then inland to McLaren Vale, Willunga and back to the airfield. We are however, flexible enough to be able to accommodate personal preferences. If there is something you particularly wish to fly over, just ask your pilot. Longer flights are available on a pro rata cost, 25 minutes airborne $369, 30 minutes airborne $443, just ask for a quote. These flights are based around a price of $365-00 per hour (engine start to engine stop) and can accommodate a maximum payload of 200kg, so 3 small people or 2 big ones! A variety of routes are offered. Priced at $320-00 for a 20 minute airborne flight, you will take off and proceed southwest of the airfield climbing to a height of 3000 feet minimum for your aerobatic experience. This can be as extreme or as gentle as you wish, if you just want to feel what it is like to gently barrel roll around the sky, or if you want to really pull some G’s! Either way you will be in full time voice contact with your pilot who will do his best to give you the ride that suits you. 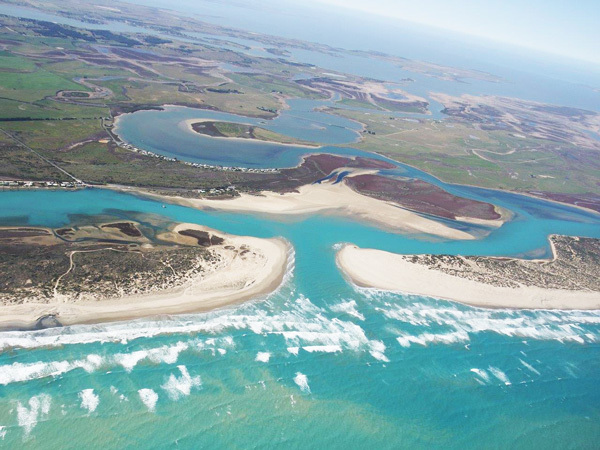 We can finish off the flight with descent over the coast for a scenic end to the experience. Longer flights are available on a pro rata cost, 25 minutes airborne $400, 30 minutes airborne $480, just ask for a quote. If you have ambitions to fly Tailwheel, then start right, start in the Cub! You will perhaps find that the Cub demands higher standards of handling, but we all believe that the rewards are also greater. We have found that with over 2000 hours Tailwheel training now behind us, that overall ‘time to licence’ does not change over the nosewheel route, but we produce better quality pilots! However, there is a small financial price to pay……the Sport Cub is $245 an hour for training. With tailwheel training in mind then the Aeronca Champ is a very simple airplane to start your journey in. 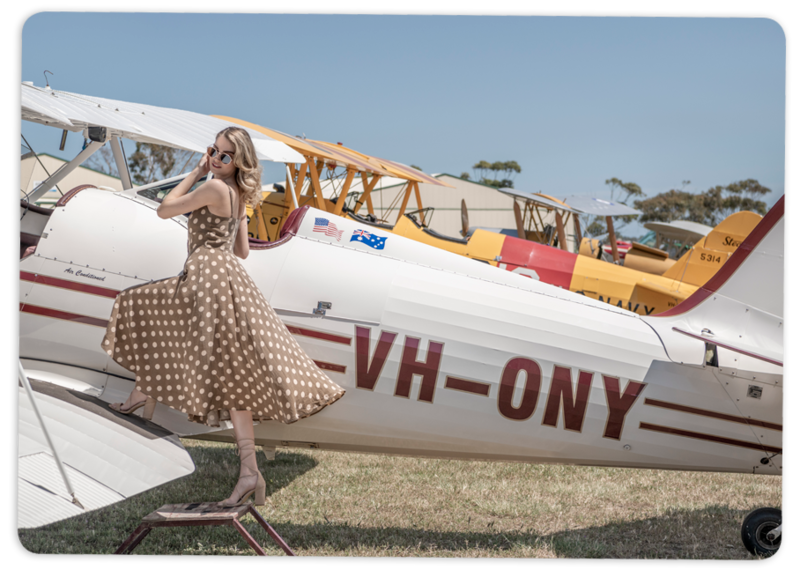 At $245 per hour training rate you will enjoy flying in a 1946 built aircraft, This aircraft has been meticulously restored by Harvey McBain from Nelson Aeroplane Company in Nelson. 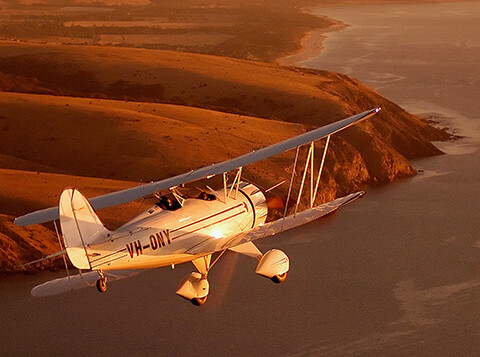 Our Evektor SportStar is priced at $230-00 per hour dual inclusive of fuel at Aldinga Airfield. The basic Recreational Pilot Certificate is a minimum of 20 hours, but realistically most people will want to add passenger carrying and radio endorsements which takes the course to an minimum of 30 hours. So a mimimum budget figure of $7000 excluding the personal bits would be about right. Trial instructional flights are $340-00 per person, per hour (engine start to engine stop). There is a weight limit of 100 Kgs in the Super Cub. 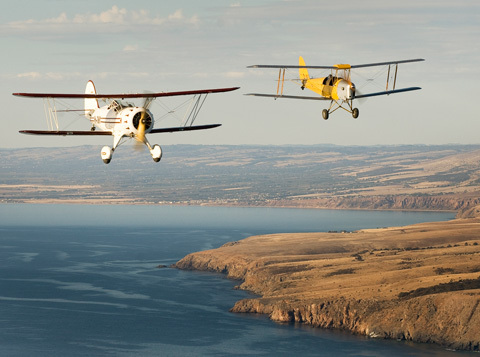 Anyone who has ever held a boyhood dream of flying in the classic Piper Cub, this is your chance. The ‘Decath’ is a great aircraft for CSU training, aerobatics and even for your Commercial Pilot Licence. The Training rate for the aircraft is ($360-00 per hour). 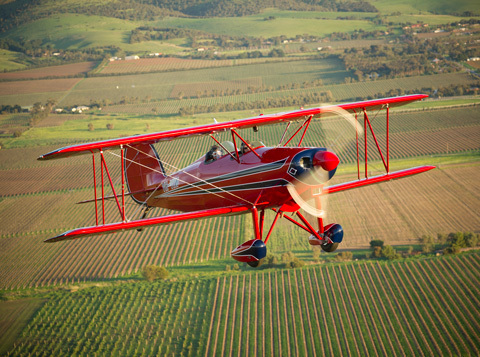 Anyone who is tailwheel trained will transition seamlessly onto this ‘HOTROD’. Our Cessna 172N VH-CEY and Cessna 172S VH-WHB Garmin 1000 equipped, year 2006, are currently $340 per hour dual inclusive of GST and fuel at Aldinga Airfield. The basic PPL course is a minimum of 40 hours, so your total budget needs to be a minimum of $13,600. Coming online soon to Adelaide Biplanes will be a Cessna 182 VH-HZV with retractable undercarriage and constant speed prop. This aircraft will be available for training at $475 per hour and Hire and fly at $370 per hour. Ab initio tailwheel training in the Cub Crafters Sport Cub, Aeronca Champ, also Tailwheel Endorsement training both on the Super Cub ($340-00 per hour) and Super Decathlon ($360-00 per hour). 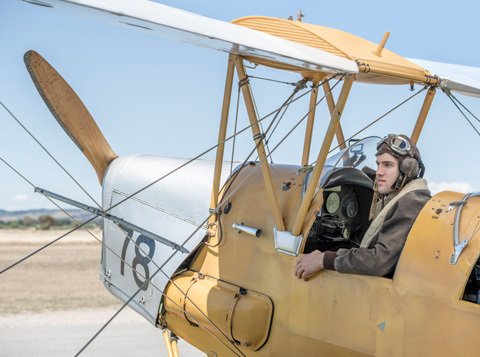 The Tiger Moth is available for training, although we insist that trainees are competent in the Super Cub prior to taking Tiger Moth training ($415-00 per hour). Aerobatic and Stall/Spin Awareness training is available on the Super Decathlon. 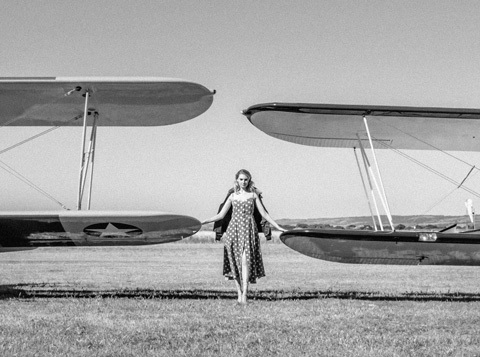 We can of course ‘mix and match’ the Recreational aircraft and the General Aviation aircraft. One popular option is to start off with the SportStar and transition onto the Cessna 172S or adding tailwheel later in the course. These take the form of a short Instructional Flight to see if you are going to like it, before you commit yourself to taking lessons. During this flight you will have the opportunity to take the controls under the supervision of an Instructor, and the basic effects of controls will be demonstrated and practiced. This is a ‘hands on’ flight and will be preceded by a short briefing. Text books, exam fees and personal equipment, for example headsets and navigation equipment are extra. Please note all aircraft are subject to a 30 day minimum currency requirement.